Combine the artist enclave of Santa Teresa with the historic city center on this private tour of Rio. A professional photographer serves as your personal guide and captures images of popular landmarks. 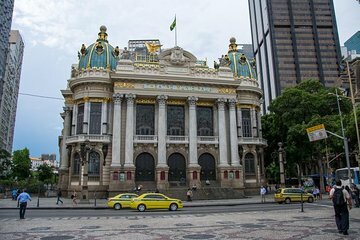 See the Escadaria Selarón (Selaron Steps) and preserved mansions, then stroll past the Metropolitan Cathedral, Confeitaria Colombo, Municipal Theatre, Tiradentes Palace and Paco Imperial (Imperial Palace) in the Centro. Receive a digital high-resolution album as a souvenir. Your 6-hour tour includes hotel pickup and drop-off by private vehicle.